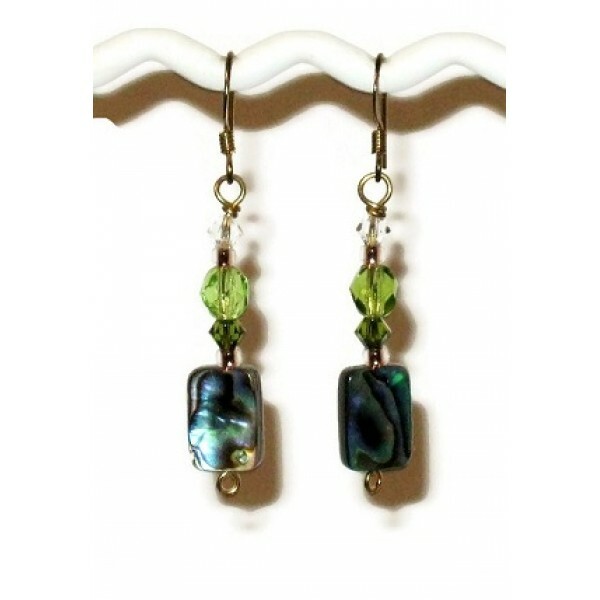 These earrings feature abalone beads that are complemented with Swarovski crystals and faceted glass. They hang on gold-plated earwires and measure 2 inches. Add a touch of elegance with this expandable wire abalone beaded choker highlighting various ..